The Investment Department of Propertas offers the broadest possible exposure to all types of commercial investment opportunities to international institutions, national institutions, open ended funds, development companies and individuals, across Croatia and Slovenia. 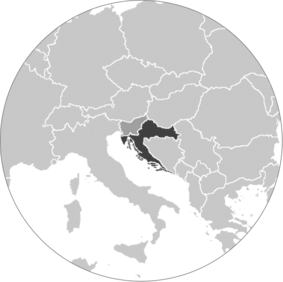 Since 2005, Propertas has been providing valuation and advisory services of various types of properties in Croatia, Slovenia, and Bosnia and Herzegovina. We have acted for numerous domestic and foreign institutions, companies and other real estate players. Our valuations are prepared in accordance with the Appraisal and Valuation Manual published by the Royal Institution of Chartered Surveyors. Research and consultancy team have been delivering specialist support to our numerous clients since 2005. Our consultancy advice envelops a wide range of services to procure correct institutional fund management. We advise our clients and manage their projects from concept to completion. Our property and facility management team are highly qualified, experienced professionals whose main focus is ensuring our clients’ needs are exceeded. We stand out in the industry as people who are easy to do business with, listen to clients and understand their business needs. Propertas was founded back in 2005 and for the first 13 years it has been operating as local CBRE partner. Since 2018, Propertas continues its work in partnership with an international organization GVA Worldwide. Over the years it has positioned itself as a definite market leader in all segments of real estate consulting. The firm focuses on providing superior services in the commercial real estate markets throughout Croatia and Slovenia. Our professionals specialize in the sale, acquisition, leasing and valuation of offices, retail units, shopping centers, and industrial and logistics parks. We provide the full spectrum of services - including agency services, capital markets, valuation and advisory, research and consultancy, building consultancy and project management, property and facility management, as well as general advice to a wide range of clients, such as institutional and private investors, national and international companies and local and central government agencies.